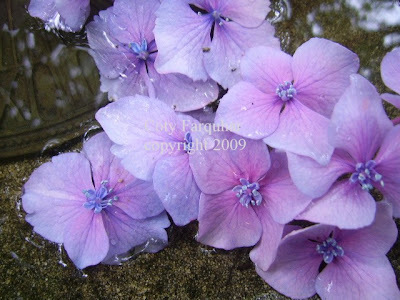 As I have mentioned many times before I am obsessed with hydrangeas, I have been collecting the flowers and photographing a few gardens this week as they are just such a beautiful flower and they are perfect at the moment. I will be visiting next week a very special garden in the country owned by a friend of ours. There are hundreds of hydrangeas. Many different varieties, I just can't wait to see them and I will be sharing my images and thoughts with you as soon as I am finished. 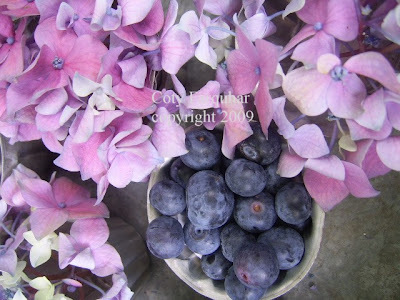 I only have a few hydrangeas in my garden, I don't seem to have much luck with them. 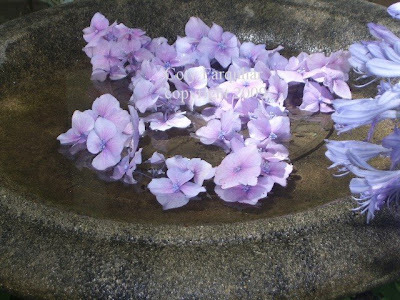 My little stone birdbath was a dry as a bone today, so I filled it up with water and cut off the tiny little petals of one of my hydrangeas so they could float about. It looks so pretty! I woke up this morning with a sore throat and aches and pains, I think I have the flu. I haven't been sick for ages, I don't think I was sick at all last year. Maybe I did too much partying this week with New Years and Christmas. 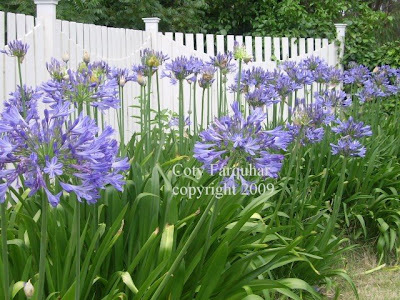 Today while my husband Andrew was pottering around the garden pruning and fixing things, I was hopelessly sitting watching him too exhausted to help and I noticed that our blue agapanthus have finally all come out along our front fence. With my camera never far from my side I managed to take few quick pics. Here a couple of shots in my little garden. I do hope that you are all relaxing and having a lovely break, I'm off to rest for a little while, it is actually quite cold here this afternoon in the Highlands, a perfect time to be in bed and read a book ! Wowwwwww!!! 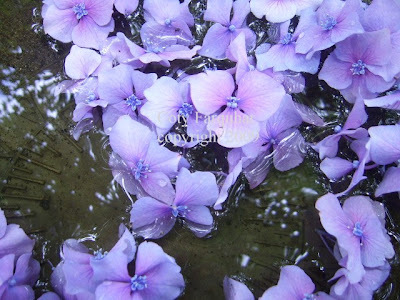 I love so much this flower...this colour is very beautiful!!! I mentioned to you before that I love love love Hydrandeas, Roses and Agapanthas...My very favorites...that is why I love your blog so much. 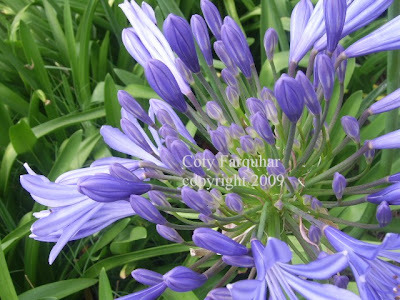 I can't think of a more beautiful shade of blue/purple - than the agapantha. Your photo of your fence lined with them is gorgeous.